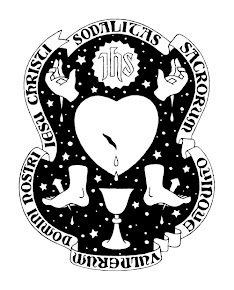 It is the custom of the Sodality to pray the Chaplet of the Five Wounds. We are pleased to announce we can now supply the Chaplet. There are two types, both priced at £8.00. If you want to reserve a Chaplet, please contact us. We hope also to obtain a stock for sale after meetings. Laudetur Iesus Christ, I pray through 5 Wounds many years. Thank you for this great website and this holy devotion. I would like to reserve two chaplets. Please, contact me because I cannot find email to you in this website. My email is: bartoszficak@gmail.com God bless you, Bartosz.